In the advent of digital communication, business cards are thought to become obsolete. Nonetheless, physical business cards are not a thing of the past just yet. Even if you and your clients can exchange contact details using your smartphones, handing them a business card is much memorable and it can impress a sense of professionalism. 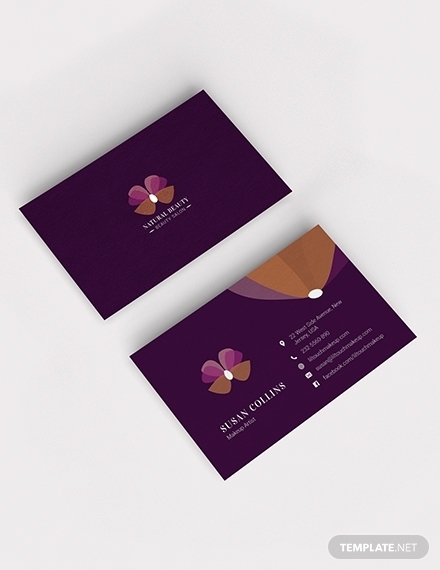 However, for a business card to linger in the minds of your clients or colleagues, it needs to have a visual spark. 1. Decide where you want your cards made. There are three options in choosing where you want your cards made. Firstly, you can order from an online printer. This is the most recommended option because it is convenient and practical. If you add up all the cost of the paper, printer, and ink, the cost is lesser than when you make the cards yourself. Secondly, contact a local printer, but it is an option that can break your bank, yet you get personalized services. Thirdly, you have to do it yourself. This option is not recommended unless you’re a pro graphic designer or innately talented at designing. Your business card will not be a standout if you do not have a high-quality printer. 2. Select your paper stock, finish, and size/shape of choice. Business cards can be simple or over-the-top. They can have a basic or even flashy design, and it all depends on your preference. You can choose either a matte or a glossy finish for the paper finish option. Both options look actually very good, so it again depends on your personal taste. The paper stock option, on the other hand, pertains to the thickness of the paper. There are three levels of thickness for business cards namely signature, standard, and ultra thick. Lastly, for your size or shape of choice, the shapes that come into play are standard, irregular shapes, and rounded corners. 3. Determine the information you want to be added on the card. The basic information to put on your card may include the following: complete name, designation, business name, contact number, email address, and website. In addition, you can add your business logo, address, social media sites, company slogan, fax number, your picture, licenses/certifications, and QR code. Bear this in mind that a business card has a limited amount of space, and it won’t be good to cram all these pieces of information. Only choose the most relevant information to include on the card. 4. Design the business card. There are different ways of designing your card. Firstly, you can use a pre-made template, which is a very affordable option. Secondly, you can hire a designer. You can get the services of any professional who can create a design that is tailored to your preference. Thirdly, you can design it yourself. If you know the basics of design and you have the know-how of vector graphics editor software, you can create customized business cards. Fourthly, and lastly, work hand in hand with a printing company. There are printing companies that offer design services with affordable rates. A pre-made template is the best recommendation because it is easy to create. Also, the templates are customizable without blurring the company’s information and logo. No matter how attention-grabbing is your business card, if it is not readable then it loses its relevance. Avoid using fonts that are distracting to the eyes. Use uniform fonts, and make sure to choose fonts that look good on print. Using more than two fonts is discouraged since you can always format them in bold and you can tweak the font size when you want to highlight important information. To be safe, use the default font on the template you are using. 6. Incorporate your logo and contact information. The contact details and logo are the most important elements that should be included in your business card. It is generally recommended to put your logo on the card for it serves as an identifier of your company or organization. If ever your business has no logo yet, you can run a logo design contest or hire a professional designer to come up with a logo. Once everything is set, you are ready to get your cards printed. Order from an online printer, print your own card, or work with a print shop in your local area, it’s really up to you. 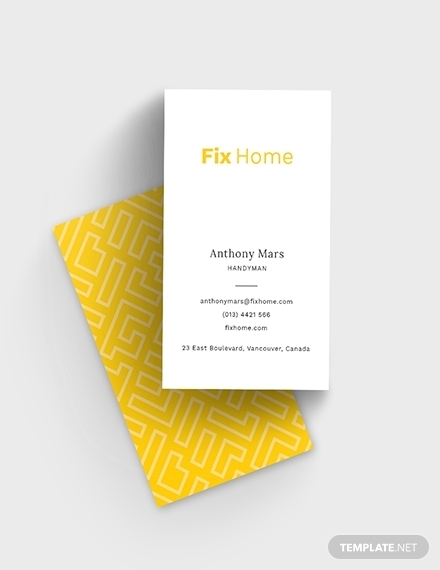 A simple business card made from a high-quality paper incorporated with professional design is what you just need to give your business a head start. A part of a company’s marketing plan is the creation of a business card. A business card is only a piece of paper but it conveys a company’s culture. It is also an effective communication channel. A business owner or an organization is easily contacted when they give their business cards to their prospects. 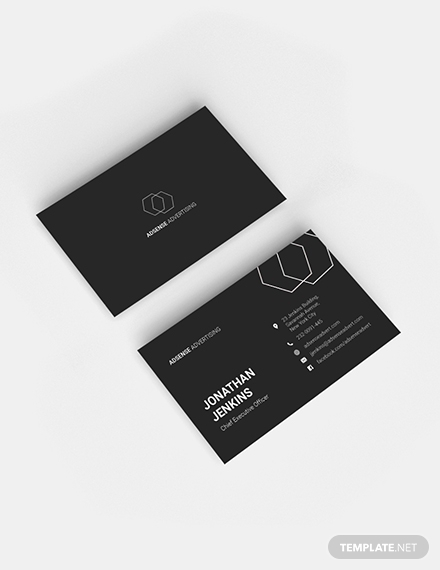 A minimalist business card template like this is simple yet professional-looking, perfect for minimalists. In this digital age, almost everything has gone paperless but a business card is not a dying thing just yet. Professionals like you have lots of clients who want your services anytime of the day. 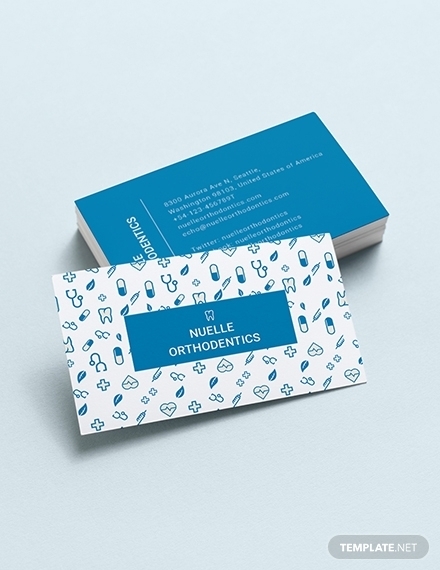 A creative dentist business card like this is extremely helpful in times when people are seeking for the services of a qualified dentist. This template has a smart, fun look without taking away other visual elements that makes it professional-looking. Business cards are effective marketing tools in making your business or service known. This hair salon business card is fancy and stylish. 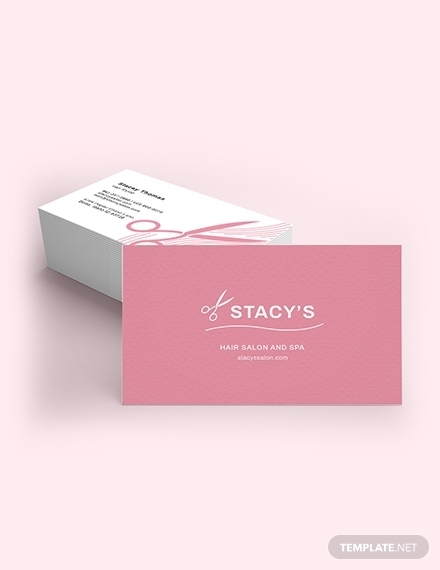 The chic salon owner will never miss an opportunity to make a valuable business connection with the use of this business card. Business cards also allow people to do a follow-up. If you have a couple of queries for your yoga teacher before you enroll in a yoga class, you can go shoot him or her a question. 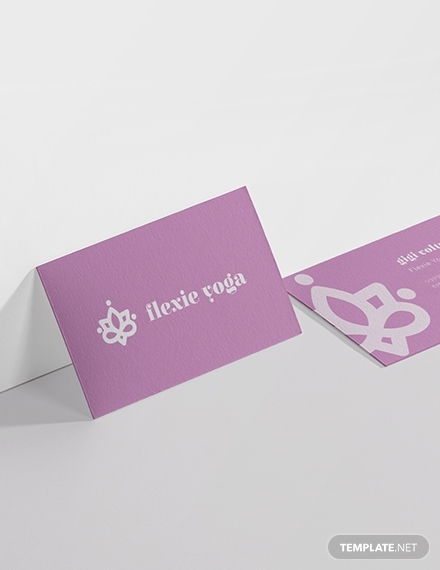 Thankfully you were given a high-quality, visually pleasing yoga business card like this one. Women nowadays are conscious of their looks and what they wear. There are still a lot who do not know the art of putting makeup on their face and need the assistance of a makeup artist. A makeup artist business card is a great tool to have for said professionals to help them gain more clients and for the clients to contact them easily. A business card can make you or your service referable. It is wise to remember that random encounters with different types of people happen when you least expect it. If you want to take advantage of those random meetings, bring a business card with you. A good business card is not only fancy and colorful. The content is much important. It has to contain one’s name and contact numbers. You can add extra details so people will know what your service is all about. The business card serves as the first impression of your brand or service. An effective business card goes a long way than merely passing on an email address or any contact information. Business cards like this also make great “conversation starters.” Once you hand it over to your prospects, they will ask you questions about the service you provide. Compelling people to get interested in your service is achieved through making connections. 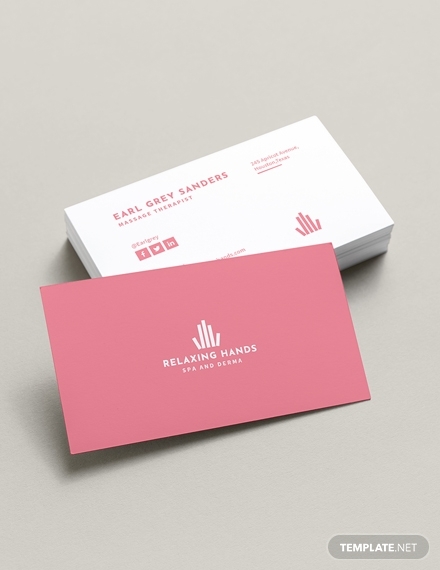 Giving business cards creates a connection with them. The service you offer is easily remembered, and they know how to reach you because the business card serves its purpose. 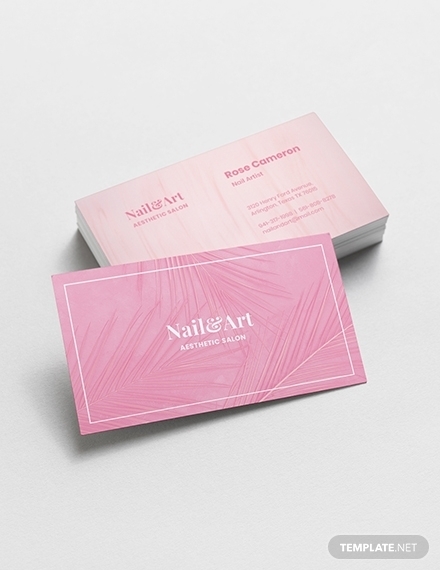 If you are a nail artist and you want to increase your customer pool, then having this kind of business card will serve you well. 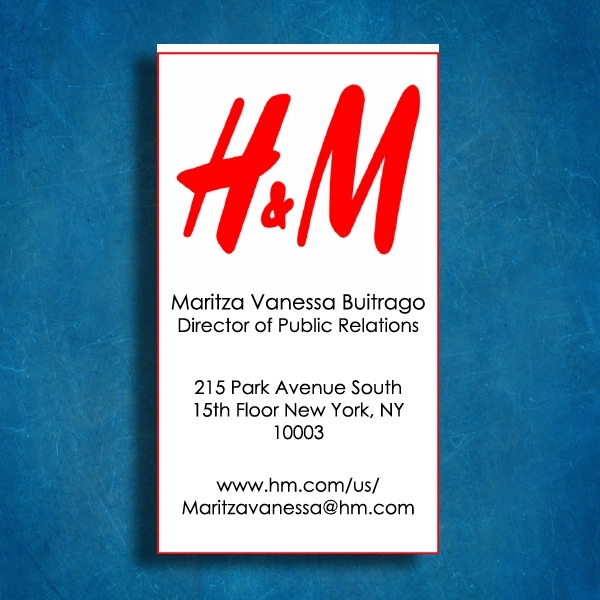 Here is an example of an official business card for a director of a popular brand of apparel. It is very simple and clean, yet professional-looking. It follows the rules and principles of creating a business card. The logo is incorporated. The complete name and position of the marketer are also given emphasis. Business owners are not the only ones who should make a business card. 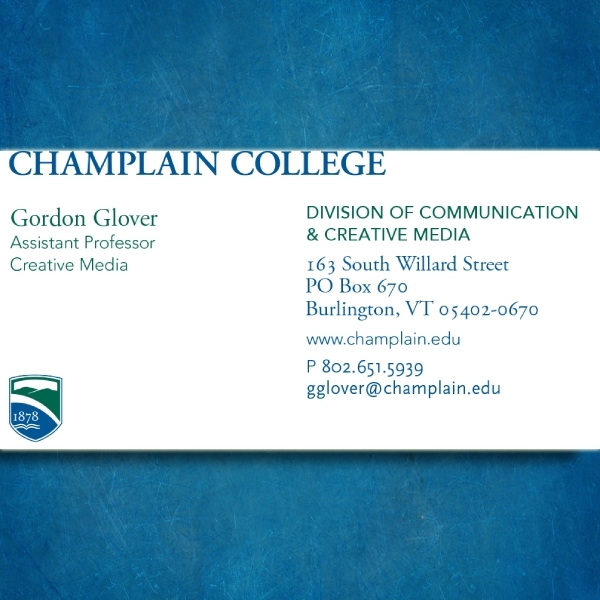 Even institutions and colleges have come up with a business card like this one from Champlain College in Vermont. These contact information can help anyone who has inquiries about the college and practically a legit business card can suffice.